It is interesting to learn that, despite the tempting alliteration, the French did not become “frogs” in English satire until the very end of the 18th century. In John Arbuthnot’s famous History of John Bull (1712) it is the Dutch who are personified as “Nic Frog” whereas the French, represented by their Bourbon King, are “Lewis the Baboon”. The Baboon stereotype was well-established early in the century; foppish, arrogant and affected, the Frenchman "aped" good manners. The barb was directed as much again slavish English admirers of French culture as against the French themselves. Then, as now, food played a defining role in national stereotypes - and the French were already well-know as frog eaters. In the 1730s and 1740s frogs, and sometimes snails, came to exemplify a effete and overrefined - to say nothing of plain horrible - French cuisine, as against the manly and reliable "roast beef of Old England". Frog-eating also indicated poverty. The pretentious aristocracy and the starving peasantry had thinness in common; the only fat people in France were the fearsome fishwives of the north coast, who were employed to carry visitors ashore, or greedy and lustful monks. 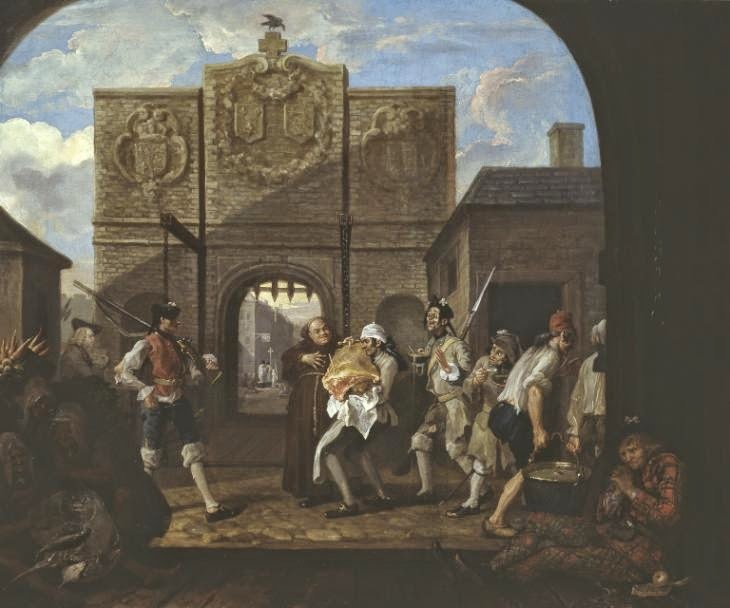 The defining image, of course, was Hogarth's famous "Gates of Calais" painted in the wake of his trip of 1748. 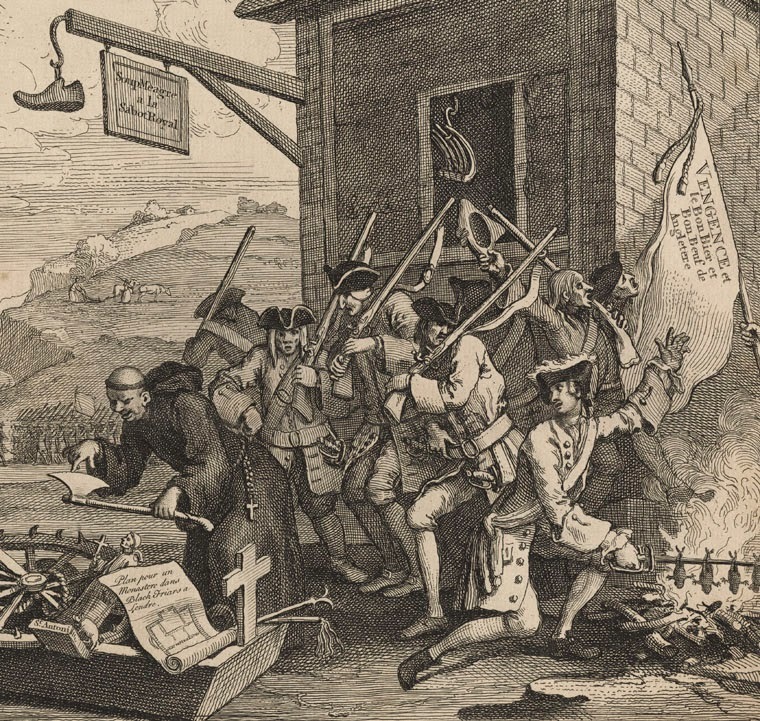 In this slightly later engraving, one of two "invasion prints" produced by Hogarth at the outbreak of the Seven Years War, a monk and a soldier prepare to invade England with torture equipment whilst cooking up a last meal of frogs. The dry bones of a small joint of beef in the inn window suggests the French are eager to invade in order to sample the "roast beef of Old England". According to David Bindman, the idea that the French were themselves frogs appears only in later Revolutionary era satires, usually based on Aesop's fable of "the Frogs who wanted a King". Among the French themselves the nickname "Grenouille" was applied to Parisians of the Marais. David Bindman, "How the French became frogs: English caricature and a national stereotype." Originally published in Apollo magazine in 2003.